The Wilsman Property is an extraordinary 62± acres located at the end of the road on top of the world. 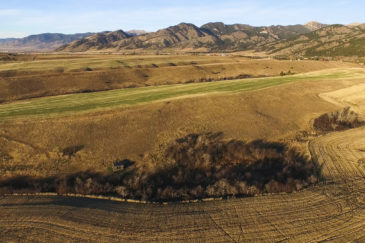 The land offers outstanding views of the Bridger, Crazy, Bangtail, and Absarokee mountain ranges and is only 25 minutes to Bozeman and about the same to Livingston. Due to its location, the land is full of elk, deer, ruffed grouse along with other animals that are common in the rocky mountain ecosystem. The property feels very remote but is close to great towns and amenities, which is a desirable combination. Along with powerful views, the property also offers a wonderful custom built log cabin consisting of two levels and a wrap -around deck including a hot tub. 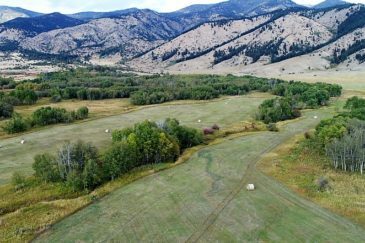 Additionally, the property has already been divided into 3 separate 20± acre tracts of record which gives a buyer the ability to either sell one or two of the tracts or potentially donate one or both into a conservation easement. *The house is located on parcel 25.